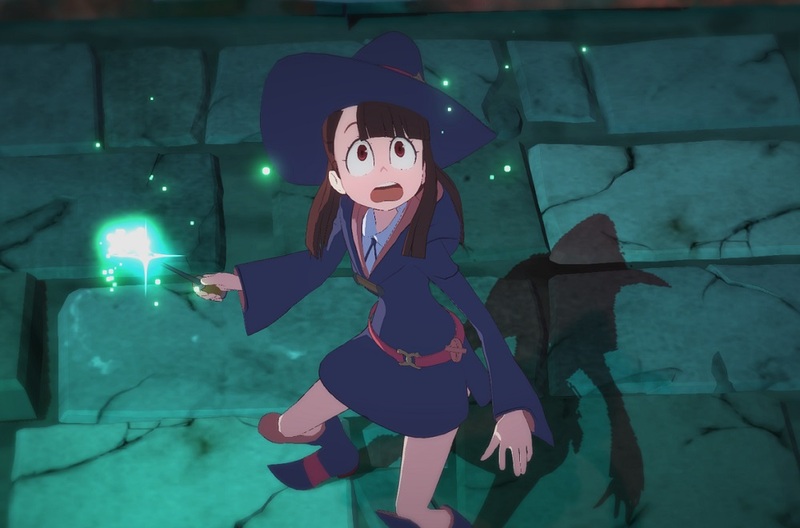 Bandai Namco have announced the Western release date for anime adventure Little Witch Academia: Chamber of Time, and it's pretty much a month away, as the game will hit Europe and America as soon as February 20. The game, based on the popular comedic anime, sees protagonist Akko stepping up her witch game at the Luna Nova Magical Academy when she embarks on a quest to to unravel the mystery behind seven mystic artifacts which threaten to bring chaos to their scholarly world and, worse yet, spoil their Summer vacation! Akko is accompanied by her pals, the timid, kind-hearted Lotte and the cynical but well-meaning Sucy (whose general expression resembles me, all day, every day) as the trio battle various dangers on the journey to save the school. The game blends traditional RPG elements with frantic brawler action, similar in style to Vanillaware's Dragon's Crown title. I had the fortune to spend some time with LWA: Chamber of Time last month and although it seemed a little lacking in depth, it looks to be a cheerful, funny and entertaining title. Given that the game features a new storyline, exclusive animation and full voice-acting from the original cast. I think Little Witch Academia fans will get a kick out of taking Akko and co. on their literally spellbinding adventure. Little Witch Academia: Chamber of Time launches as a digital download on PS4 and PC February 20.